Kansas is the epitome of the American countryside. Driving through the state, you’ll pass miles upon miles of sweeping plains, gently rolling hills, and meandering rivers. It’s one of the most productive agricultural states in the nation, as the nearly endless sprawl of farmland suggests. Its calm roads and bucolic landscape offer a peaceful traveling experience. Kansas is rich with cultural history, too. Many Native American tribes called the state home, and some still do. Famous historic routes, like the Oregon Trail and the Pony Express, pass through Kansas, offering a look back into Post-Revolutionary American life. During the 1800’s, Kansas was a central site of many territorial battles. Early conflicts over slavery played the part as a precursor to the Civil War. Spend enough time in the state, and you’ll find that its tumultuous past lies in stark contrast with its tranquil landscape. For hobby historians, outdoor enthusiasts, and casual travelers, Kansas offers much to explore. 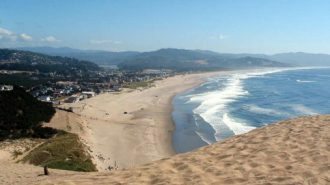 The modern attractions and vibrant nightlife of its cities are a draw for some types of tourists, while the quiet solitude of the state’s national parks and historic places lure many more. 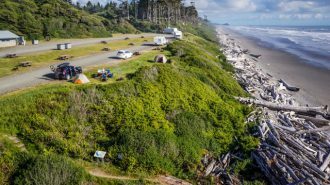 It’s a wonderful state to explore in an RV, due to its easy navigability and diverse array of things to do. It’s no wonder, then, that there are some amazing RV shows throughout the state. 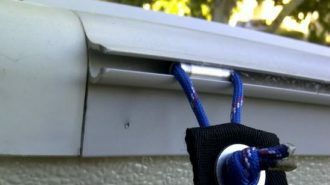 In this article, we’ll go over a few of the best ones. One of Kansas’s biggest RV shows takes place in downtown Wichita at the Century II Expo Center. 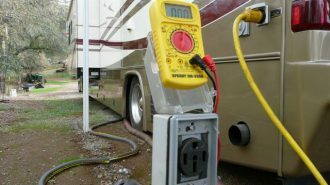 The facility is right across from the Arkansas River, which makes for a peaceful backdrop to the hubbub of this popular RV show. The Center is comprised of multiple venues, including a concert hall, a performing arts theatre, and a hotel. The exhibition space alone takes up nearly 200,000 square feet, so be prepared to see a lot of RVs! Many Downtown Wichita attractions are just steps away, including the Museum of World Treasures and the Sports Hall of Fame. The USI RV Park is just a few minutes’ drive to the north. The show features several of the largest dealers from across the state. 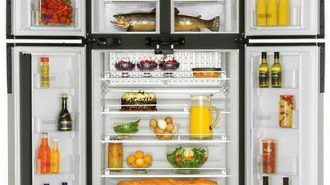 You’ll find a large collection of brand-new RVs from top manufacturers like Winnebago, Forest River, Dutchmen, and more. Since the show is early in the year, you’ll have the chance to take a look at some of the newest models for exclusive, show-only prices. 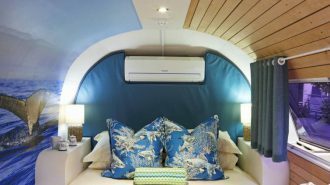 The show includes RVs of all classes, covering everything from small travel trailers to large motorhomes. 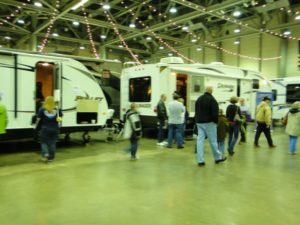 The Annual Wichita RV Show is held at the Kansas Pavilions Coliseum in the Wichita suburb of Valley Center. The location is convenient to downtown Wichita and offers several nearby hotels and RV parks. Or, you can check out our list of the top campgrounds and RV parks in Kansas. The show is indoors in an all-weather section of the facility, so you’ll be able to take your time and explore. 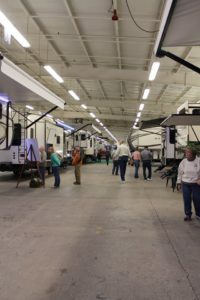 If you’re in the area for this show, you’ll have the option to stick around and attend the Greater Kansas RV Show as well, since the shows are just two weeks apart. The show will be entering its 29th year in 2018. Boasting hundreds of RVs of all makes and models, this indoor show is one of the largest in the state. 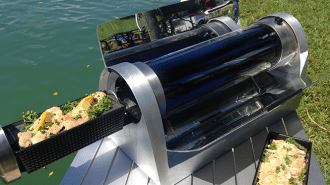 In addition to the vast selection of trailers, campers, and motorhomes, there are also multiple retailers offering camping gear and RV accessories. This show is a great opportunity for first-time buyers and RV owners alike; there are plenty of discounts and deals to be found. Feel free to bring your current RV, as trade-in appraisals are available at each dealer. 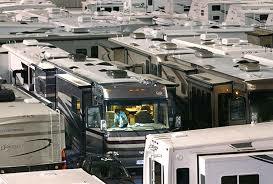 This popular RV show takes place at the Kansas Expocentre in downtown Topeka. The Expocentre is just minutes away from everything Topek has to offer and is within walking distance of a handful of hotels and inns. In between shows, guests can explore the city and visit some of Topeka’s best attractions, like the Evil Knievel Museum and Old Prairie Town. There are also several parks in the area, including Gage Park, which features beautiful flower gardens, train rides, and the Topeka Zoo. 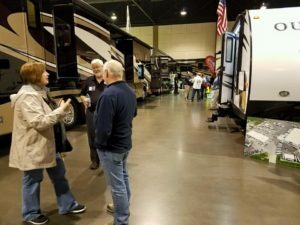 Aside from the massive collection of RVs and campers, the Topeka RV and Sport show also offers more than 40,000 square feet of exhibit space packed with camping gear, accessories, and travel information. It’s a one-stop shop: you can get a great deal on a top-rated RV then head over to the outdoor exhibits to stock up on hunting and fishing gear. If you’re the type that likes to forage for your meals, you can meet mushroom expert Tom Weipert, who will teach you how to identify wild mushrooms. The Topeka RV show hits the road and heads to Overland Park in late February, upgrading to a bigger facility and more dealers. This indoor show is at the Overland Park Convention Center, just a few miles from downtown. The Convention Center is a beautiful facility, built in 2002, and sits on more than 26 acres of land. If you’re looking for things to do during downtime, you won’t have to look far. Overland Park is one of the most popular cities in Kansas and has tons of activities and attractions, including several breweries and pubs, a handful of museums, and the charming Deanna Rose Farmstead. The Overland Park show is a big one with more than 100,000 square feet of camping, hunting, and travel exhibits alone! You’ll also find one of the largest, most varied collection of RVs, including everything from luxury motorhomes to travel trailers. 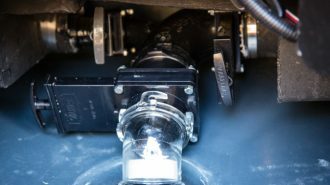 Five well-known RV dealerships from the area gather to compete for your business, so you can expect deep discounts and exclusive deals. Hunting enthusiasts can chat with special guests like Ron Browning, who has won awards for his trophy deer rack and mounts. Kansas is a great place to explore in an RV. From lazy afternoon drives to camping in the High Plains, the Sunflower State offers a relaxing getaway with plenty of opportunities to reflect on one’s self and the beauty of nature. Its historic roots run deep and make themselves evident from the moment you cross the state line. 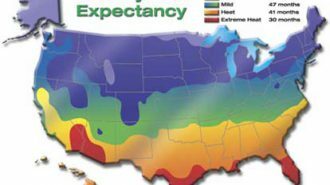 Kansas is a mix of old and new; of beautiful countryside and growing cities; of lush grasslands and arid geological regions. It’s an amazing outdoor travel destination, filled with majestic sights and interesting history around every corner. It’s also a great place to buy a new RV. After all, there’s no place like home – especially when it’s on wheels. 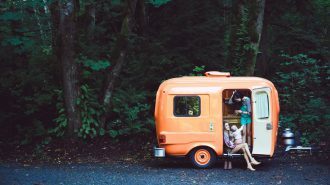 If you’re on the fence about buying a new RV, you might want to consider renting one first. 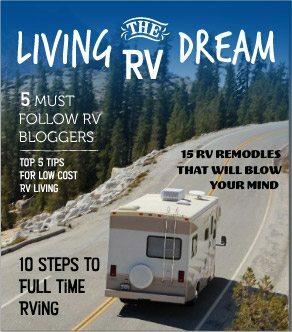 RV rentals are a fun way to check out different RVs to see if buying one is the right decision for you. You’ll be able to test out the layout and features in real life, for a few days or weeks at a time. Trust us; it’s a big difference from just touring an RV at the dealership or RV show! 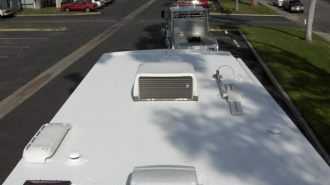 Then, you can head to the next RV show armed with the necessary experience to make an informed decision. Check out our inventory for a list of available RV rentals in Kansas. Happy trails!